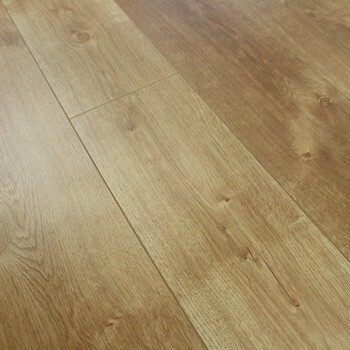 Wood plank laminate flooring is durable, versatile and easy to care for. 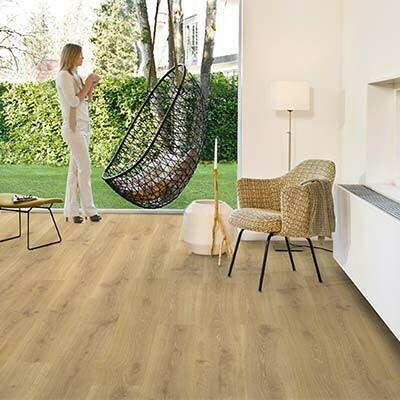 It is laminate flooring that has been made to look like planks of wooden flooring, giving a natural and elegant appearance. 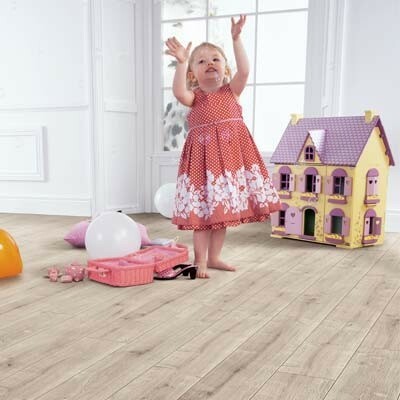 All of our wood plank laminate flooring, which is produced by Quick-Step, has an easy to use click fitting system and has a scratch resistant protective top layer. There are a wide range of colours, species of wood and plank sizes to choose from. 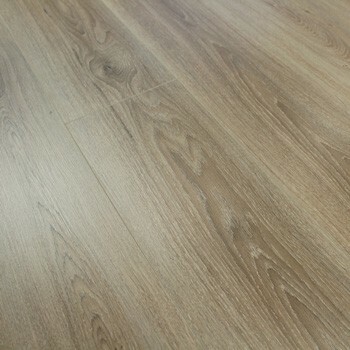 Why should I choose wood plank laminate flooring? 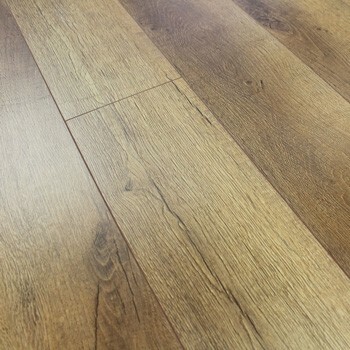 Wood plank flooring is one of the most popular types of laminate flooring as it is a cost effective alternative to solid wood or engineered wood flooring. 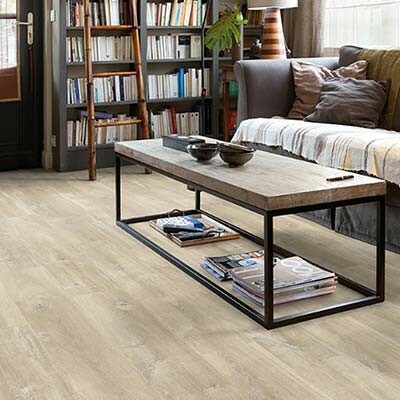 Quick-Step is a well-known and reputable brand with decades of experience in the flooring industry. 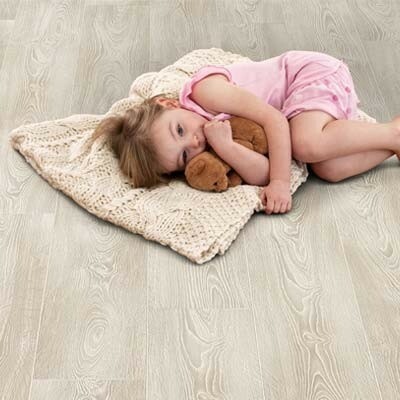 They create flooring that is not only beautiful but also hardwearing, robust and waterproof. 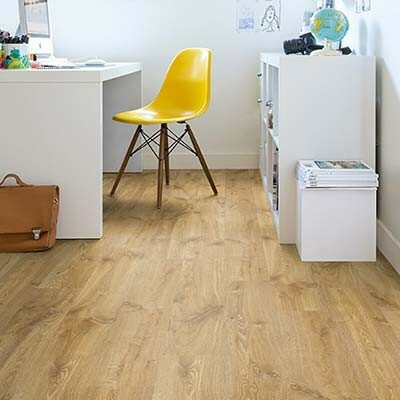 All of our different types of laminate flooring are easy to install, thanks to Quick-Step’s simple uniclic fitting system which allows you to click and lock the planks of laminate into place, creating a seamless and gap free floor without the need for glue, nails or screws. Perfect for any DIY enthusiast. 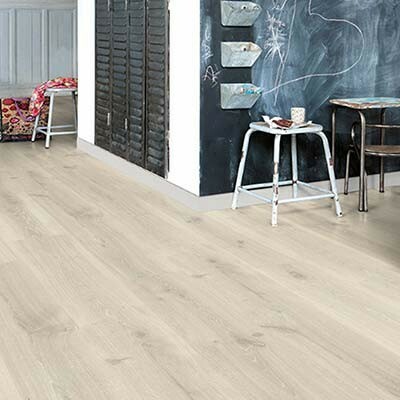 All Quick-Step laminate floors can be used with underfloor heating and are far more water resistant than hardwood flooring. Some even have a waterproof warranty which would be an ideal choice if you did want to install it into a bathroom or utility room. 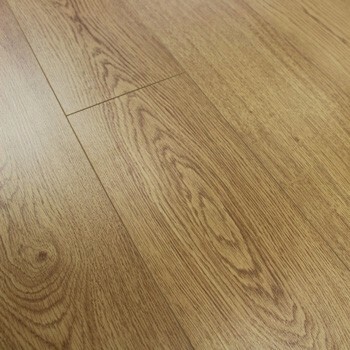 All types of laminate flooring require very little maintenance and care. They make a hygienic alternative to carpet and are perfect for allergy sufferers. For further tips and advice on how to clean and care for your laminate floor, read our Flooring Care and Maintenance Guide. Wood plank laminate flooring is available in a wide variety of wood species with different tones, grain patterns and colours, so there is sure to be something to suit your space, whether it be a rustic cottage or a modern apartment. We sell a range of flooring accessories that will help you to add the finishing touches to your room. Once your laminate flooring has been installed you will inevitably have gaps around the perimeter, in doorways and around pipes. These can be easily covered up by using beading, skirting, pipe covers and door bars. We stock a range of MDF accessories, aluminium accessories and also solid hardwood flooring accessories. Yes, we sell different types of laminate flooring too. 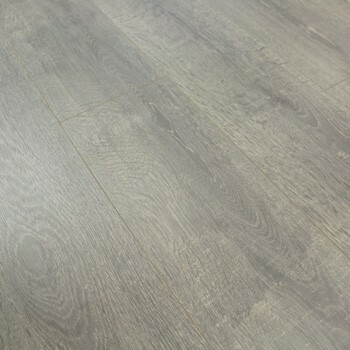 Have a look at our Tile and Stone range of laminate flooring. 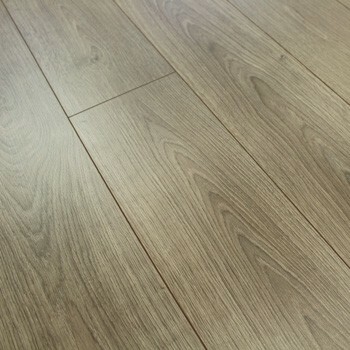 Alternatively if you are still unsure whether laminate flooring is the correct choice for you, why not have a look at ranges of solid wood flooring, engineered wood flooring or vinyl flooring. If you would like any further help or have any question about our laminate flooring or other flooring products then please either contact us or come into our showroom where one of our technically trained team will be happy to help.